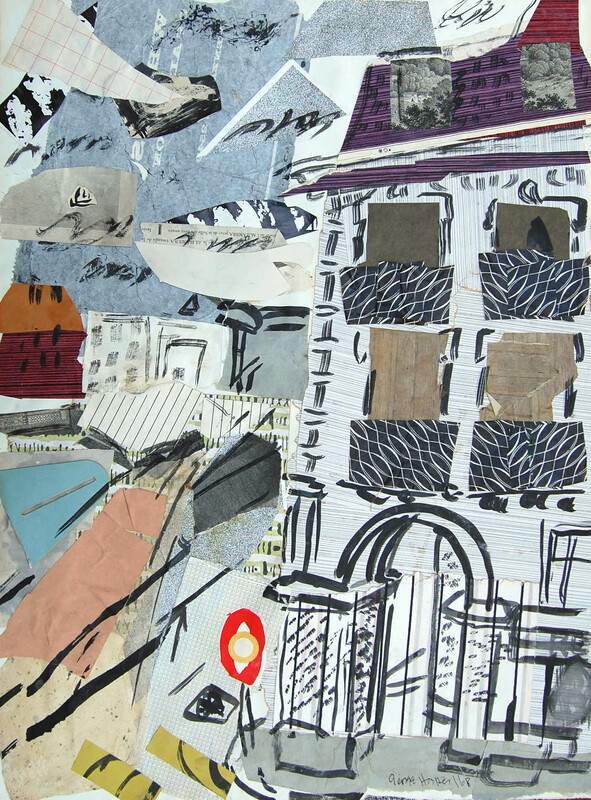 Robert Eagle Fine Art is proud to present a rare collection of 20th century artist George Hooper’s collages and paintings. Born in Gorakpur India in 1910, it’s clear that the sights and sensations of his childhood shaped his unrestrained style and loud colours, which he brought back to England with him. Despite struggling in academia, Hooper won many high profile commercial jobs, working with (among others) Lyons, Shell, Southern Railway and the Post office. Italy introduced him to Fauvism, citing Matisse, Dufy and Hitchins as influences, Hooper developed a vibrant and colourful style, which he was constantly refreshing and experimenting with. As a result his work is innovative and striking at every stage of his career, to see more visit his artist page on our website.